Jasmine rice is my favorite variety to cook. It smells and tastes delicious, has a nice soft texture, and is really easy to make perfectly. Whether the white or brown variety, it's my go-to rice for most of my cooking. 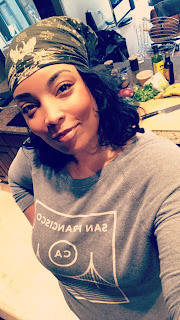 I still use brown Jasmine rice these days whenever I can, and shared my recipe for Coconut Brown Rice ages ago. I've tweaked my recipe a bit since then and thought it was time to share another version here, this time with white rice. The rice is flavorful but in a subtle way - fragrant with notes of coconut, ginger, lemongrass and garlic. It's lovely on its own or as an accompaniment to a variety of Asian, Latin and Caribbean dishes. This recipe makes a ton of rice - more than enough for two family meals. 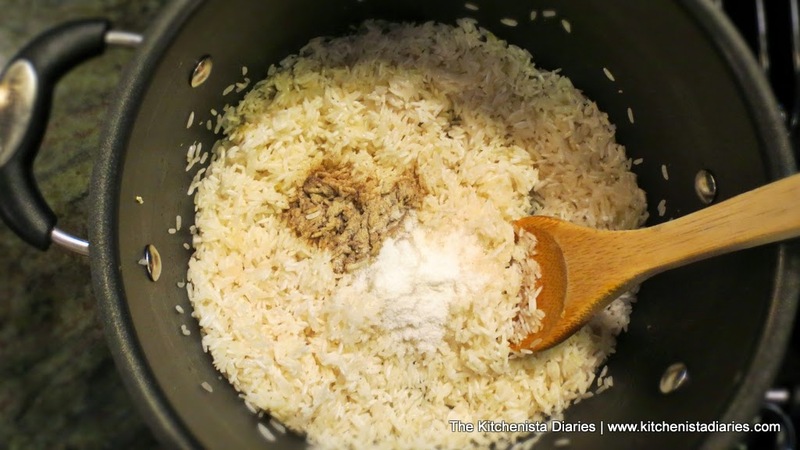 Rice isn't something I cook often as a side dish, but when I do I've just found it easier to make a whole pot and have enough for another meal later in the week. 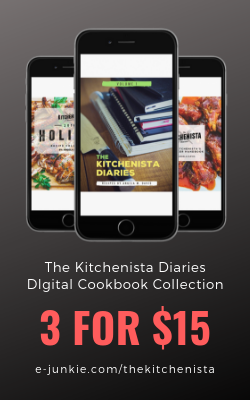 It's the same amount of work no matter how much you cook...plus now you have an excuse to make fried rice tomorrow, so go with it. Oh, and about those leftovers? 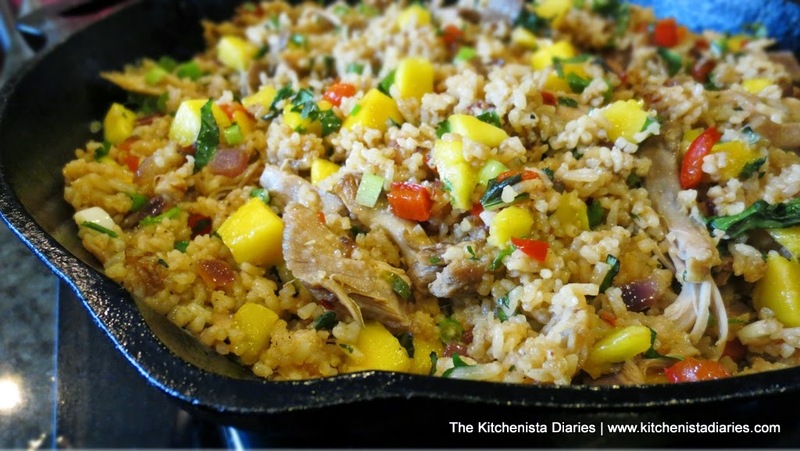 Try either of my fried rice recipes, Shrimp Fried Coconut Rice or Chicken & Mango Fried Rice, for a tasty second round! 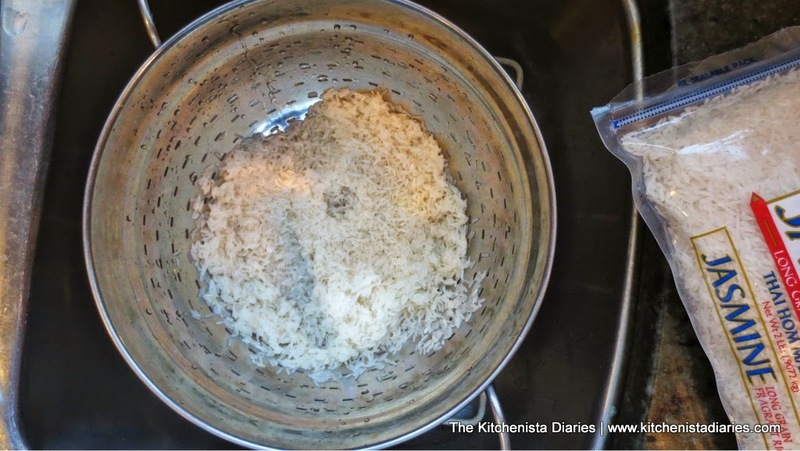 Rinse rice in a colander or mesh strainer until water runs clear. This helps to remove some of the starches that can make the rice get a little sticky. 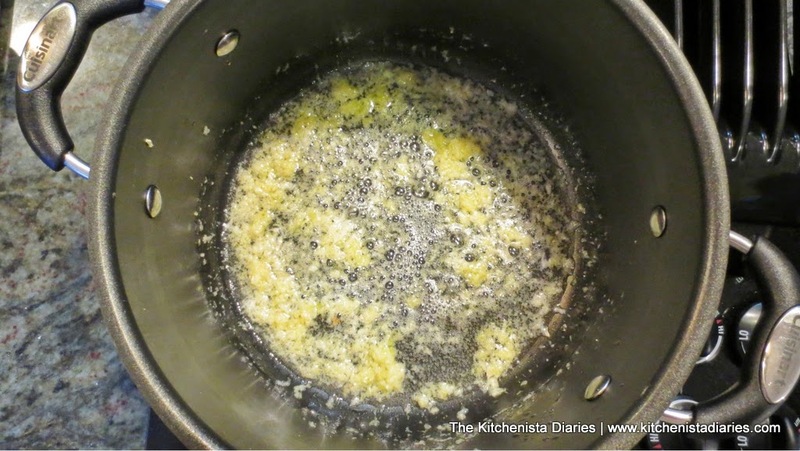 In a large nonstick pot over medium heat, warm the coconut oil. Add the garlic, ginger and lemongrass paste. 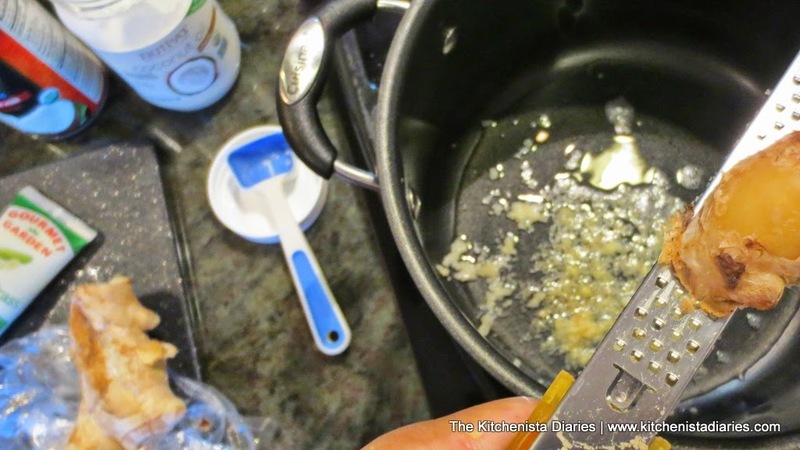 A microplane grater cuts way down on any prep work here! Another tip... try freezing your fresh ginger. Peel, wrap it tightly in plastic and store in a freezer bag. It will keep forever, and when you need to use it the frozen ginger actually grates a lot more easily. Heat the aromatics just a minute or so until fragrant. Add your rice, salt and pepper. Stirring constantly, toast the rice for a few minutes. 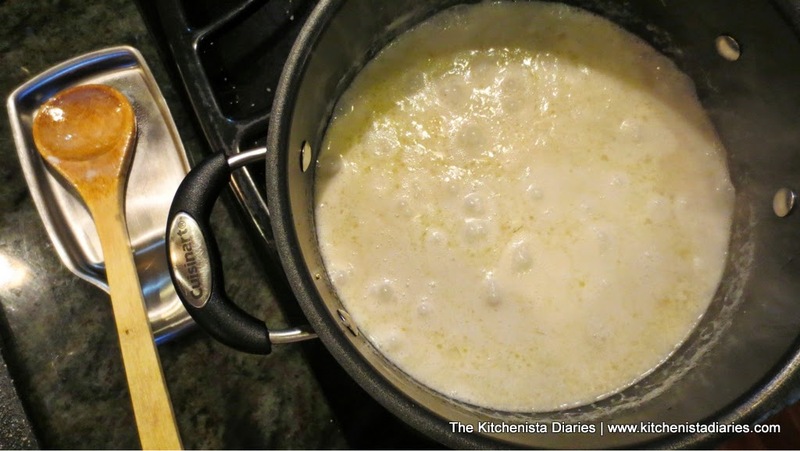 Add the coconut milk, water and chicken stock. Stir, bring to a boil, then lower the heat and cover the pot with a tight fitting lid. Simmer on low heat for 25 minutes or until the liquid is absorbed and rice is tender. 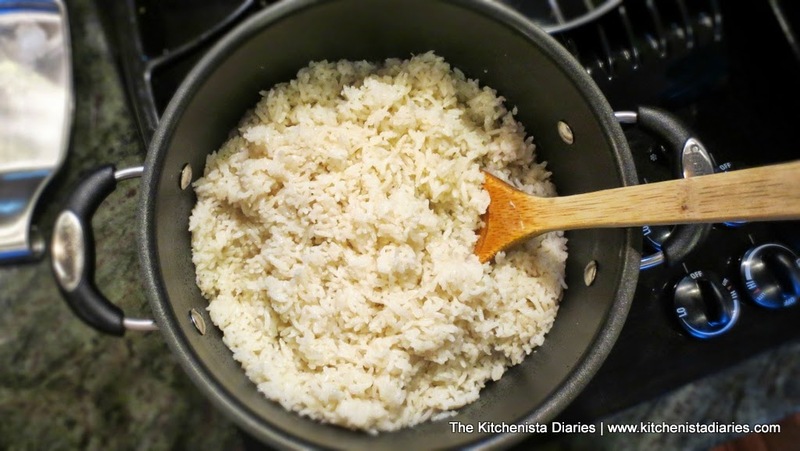 Fluff cooked rice and let stand for 5 minutes uncovered before serving. Don't forget to save enough to make some fried rice the next day!